Kadrolsha Ona Carole is the Queen of the Paranormal with over 38 years experience in the field of the paranormal. She is the real deal. Kadrolsha Ona is a part of motion Picture History with her contribution to the 40th Anniversary Edition of the Exorcist. KO was the first paranormal personality to play herself in a major motion picture a Horror Classic Toxic Tutu, (30yr. trip to present day with cast members of Toxic Avenger). 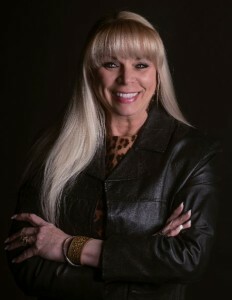 She is a Pop Culture Icon, Movie & Film Star, Author, Radio & TV Personality, Humanitarian and 5X Paranormal Award Winner has made her mark with her vast expertise hunting for ghosts with members of popular TV shows such as Ghost Hunters, Ghost Hunters International & Ghost Hunters Academy to name a few. Starred in over 85 CC The Huntress LIVE Action Paranormal Adventures for broadcast TV. Highest viewed Paranormal Personality on Roku's Travel and Venture Channel. Reiki Master Teacher and Licensed physician of Karuna Reiki and Graced the covers of over 73 magazines & newspapers.